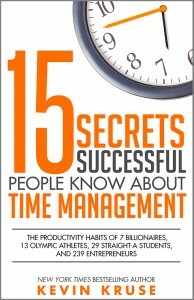 Kevin Kruse is a New York Times bestselling author, an Inc 500 startup founder, and his newest book, “15 Secrets Successful People Know About Time Management” is based on groundbreaking research into the habits of Olympic athletes, straight-A students, over 200 entrepreneurs and 7 billionaires, including Mark Cuban. Kevin Kruse considers himself a “massive introvert” and has experienced some of the pitfalls related to the perceptions of others. His colleagues regularly considered him anti-social, or even worse, came to the conclusion that he disliked them. It is noted that introversion can be seen as a string of negative social perceptions and it is as important to be aware of your impressions you make as an introvert as it is for others to make fewer assumptions. Kruse decided to expand on this information and gather anecdotal information from high achievers on what gives them the ability to accomplish their goals in a fraction of the time of the average person. 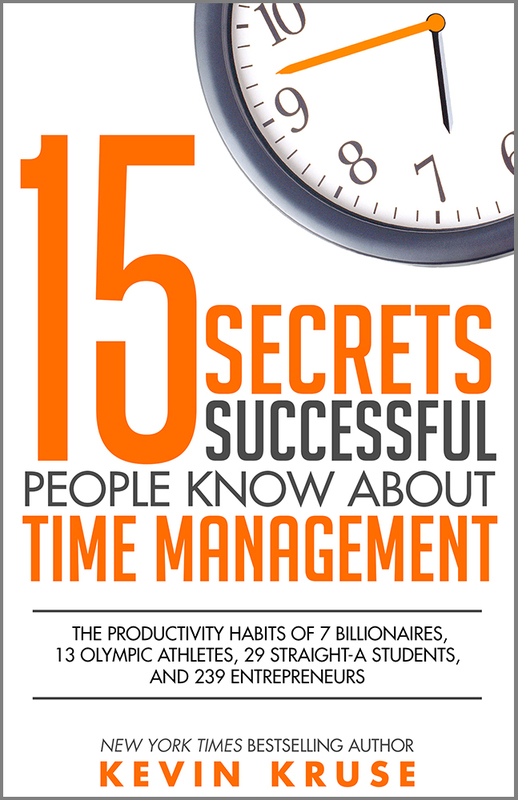 This interest became his book and the time management style assessment on his site. He learned that these high achievers maintain balance so they can preserve their energy for their most important tasks. Giving your time priority is of the utmost importance and an important component is to learn to reject others’ request for time in such a way that keeps them from feeling slighted. Taking the proper time management and productivity measures can prevent burn-out, allow you to maintain the priorities you desire in your life, and ease negative thoughts related to guilt or stress. Taking advantage of these psychological tips is important, but they mean very little if you don’t take care of your physical side as well. It is important to make sure that you’re properly fueled to accomplish your goals and that starts with proper eating habits. It is also important to get the rest you need.